EU-Japan cluster collaboration is well established since 2008. The EU-Japan Centre for Industrial Cooperation offers services to European and Japanese clusters to help them identify potential cooperation partners in the reciprocal regions (matchmaking missions, thematic focus…). Based on close economic ties and through a stable and fruitful business and innovation environment, bilateral trade is well established between Japan and the EU, and is notably focused on some high-technology sectors. Japan has a clear cluster strategy, and offers a number of cluster programmes on a national and regional level. These programmes have allowed for a rich cluster community to develop, as well as the creation of the novel concept of “Knowledge Clusters”, which refers to a system for technological innovation. Knowledge clusters are organised by a local initiative around universities and other public research institutions with original R&D topics, as well as companies. As a highly developed economy and a major global trader and investor, Japan is an important partner for the EU. Japan is considered as one of the most innovative economies in the world. In terms of important sectors for business, EU exports to Japan are dominated by a few high-technology sectors such as motor vehicles, machinery, pharmaceuticals, optical and medical instruments, and electrical machinery and exports from Japan to the EU are also dominated by machinery, electrical machinery, motor vehicles, optical and medical instruments, and chemicals. 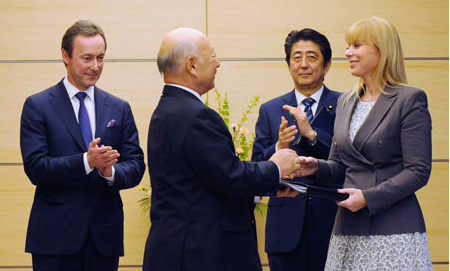 Diplomatic relations between the EU and Japan are well developed, and trade and industrial policy dialogue are ongoing. The Directorate-General (DG) for Internal Market, Industry, Entrepreneurship and SMEs has been working with the Japanese Ministry of Economy, Trade and Industry (METI) on an industrial policy dialogue since 1998. The aim is to further develop regulatory convergence and solve regulatory hurdles. The cooperation allows for better mutual understanding of respective policies, particularly relating to small and medium-sized enterprises (SMEs) and government procurement. Negotiations on a Free Trade Agreement between EU and Japan are ongoing (already 13 rounds of negotiations since 2013).Read less. The Japan External Trade Organisation (JETRO) has developed a mapping tool that provides information about the industrial clusters (major companies, related research institutions, main sectors, etc.) in various regions of Japan, and various sectors (mainly Automobiles and Transport Equipment, Aircraft, Food manufacturing, ICT, Electronics, Life Sciences, Environment and Energy, Service, Tourism). Japan benefits from an important cluster landscape (at least 45 cluster organisations in 2013). The cluster organisations were all initiated and funded by the Ministry of Economy, Trade and Industry (METI) or the Ministry of Education, Culture, Sports, Science and Technology (MEXT). Most Japanese clusters appear to have international activities, sometimes in the form of international cluster cooperation, and often with Europe. In terms of innovation, a category has been created and distinguished from other clusters, the “Knowledge clusters” defined as a system for technological innovation, organised by a local initiative around universities and other public research institutions with original R&D topics, as well as with companies. Moreover, an important part of the other cluster organisations has identified increasing R&D as an objective and mission of the cluster.Read less. Cluster Plans have been implemented and adjusted by the Japanese Government to become effective policies for regional innovation and job creation. The cluster policy in Japan is strongly dedicated to growth in industrial sectors and innovation. Japan has a clear cluster policy implemented by the Ministry of Economy, Trade and Industry (METI), the Ministry of Education, Culture, Sports, Science and Technology (MEXT) and also by regional authorities. The METI has established an industrial cluster policy since 2001 (20 Industrial Cluster Projects launched within the first period until 2005 which aim to enhance the competitiveness of Japan through industrial clusters.) The Ministry of Education, Culture, Sports, Science and Technology (MEXT) has also launched several projects supporting cluster development over the last few years. International cooperation in the field of cluster policy takes a strong importance in Japan. All cluster initiatives have dedicated tools or programmes aiming at encouraging international cooperation.Read less. 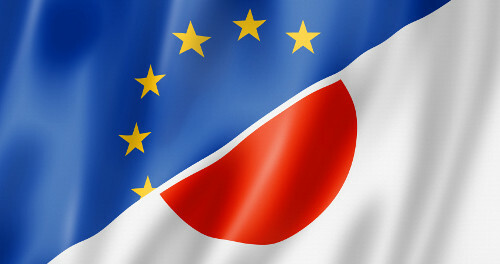 EU-Japan cluster cooperation is well established since 2008 (“EU-Japan Regional Cluster Forum”).The EU-Japan Centre for Industrial Cooperation was established in 1987, under the joint initiative of the European Commission (DG Enterprise and Industry) and the Japanese Ministry of Economy, Trade and Industry (METI). The centre organises matchmaking missions to Japan for EU Clusters, notably thematic mission. A new service of the EU-Japan Centre for Industrial Cooperation called the Japan Technology Transfer Helpdesk has been established, dedicated at supporting primarily EU SMEs in finding promising technologies originating from Japanese universities and research centres (ongoing survey). An MoU was signed between ECCP and the EU-Japan Centre for Industrial Cooperation in 2012, showing that the EU-Japan cluster cooperation is clearly already well established. Japan is also clearly an ESCP target country.Read less.